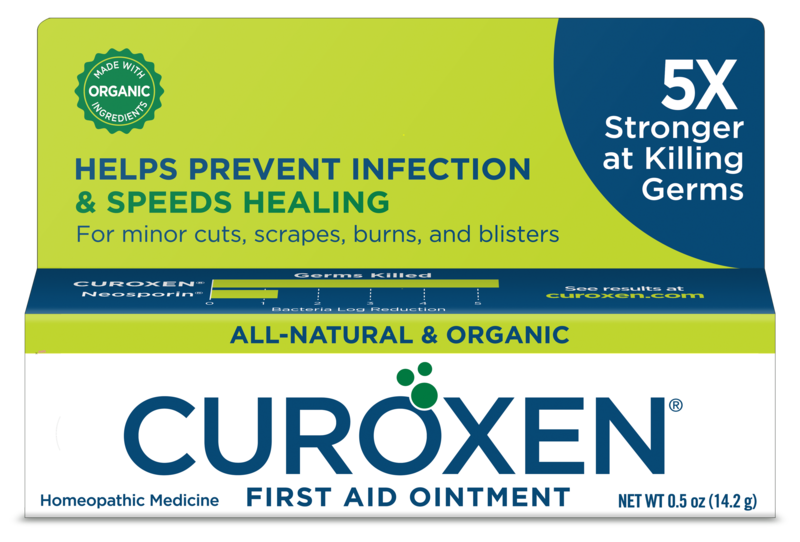 CUROXEN is an all-natural and organic first aid ointment that kills over 5X more germs than Neosporin. How does it work? 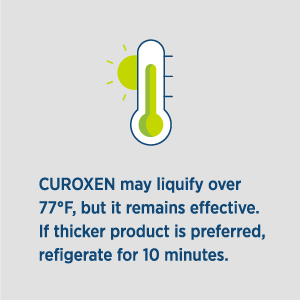 CUROXEN is made with an ultra-pure organic olive oil that has been oxygenated by a proprietary process. The oxygen binds with the fatty acids in the olive oil, creating a powerful antimicrobial substrate. 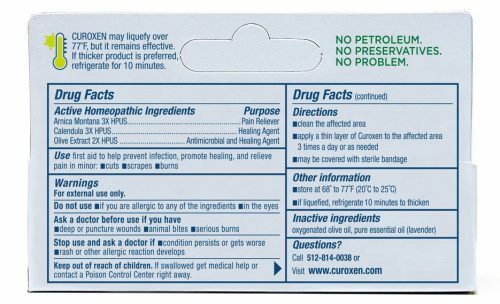 CUROXEN also contains calendula, a homeopathic substance derived from the marigold plant. Calendula has antimicrobial properties and is proven to aid in healing. 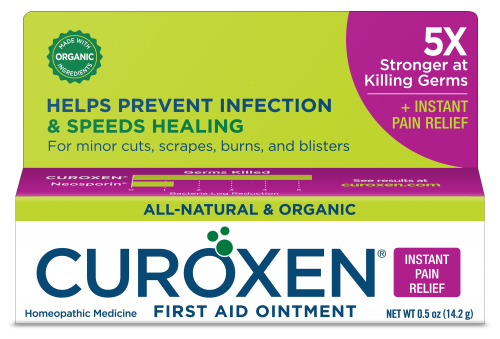 Why should I stop using Neosporin? 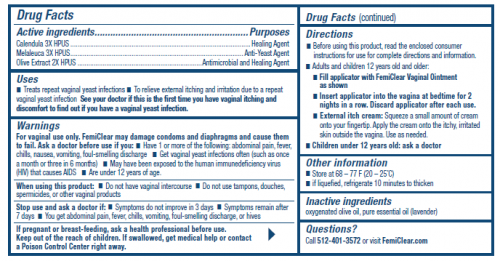 Neosporin contains three synthetic antibiotics: neomycin, bacitracin, and polymyxin. 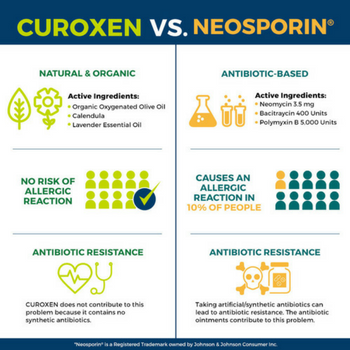 Two of these, neomycin and bacitracin, are known to cause allergic reactions — 10% of people are allergic to these antibiotics! The American Contact Dermatitis Society (ACDS) named each of these as allergens of the year in 2003 and 2010. CUROXEN is the strongest over-the-counter germ-killing first aid ointment on the market. 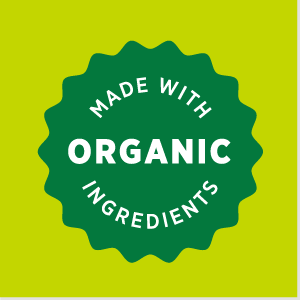 And it’s made from all-natural, organic ingredients. That may sound too good to be true, but we have the scientific evidence that proves it. 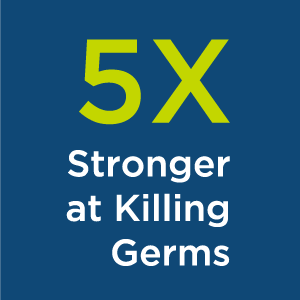 CUROXEN kills over 5X more germs than Neosporin. 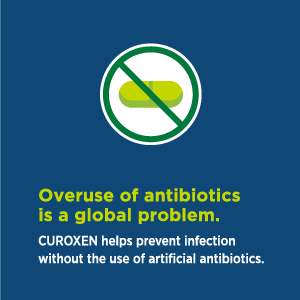 CUROXEN helps prevent infections without the use of synthetic antibiotics. 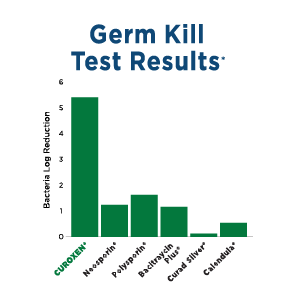 Overuse of antibiotics can lead to antibiotic resistance. It’s an issue that the FDA, the CDC, the World Health Organization and the UN consider the most important healthcare issue facing the world today. 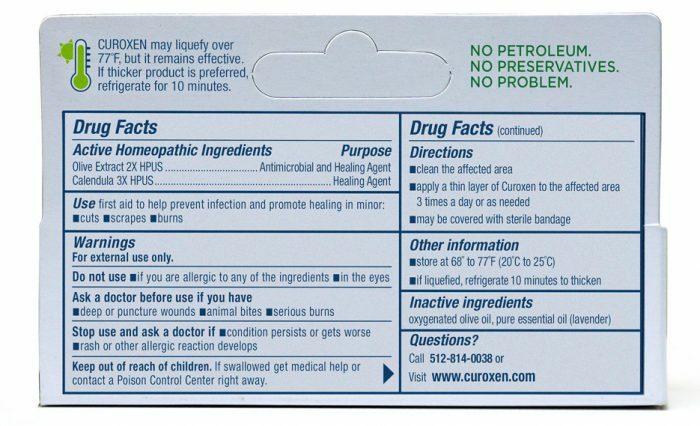 Upon receiving this product, I put curoxen on two small cuts I had on my finger, and then placed a bandage over it. Next morning, it was healed. No more redness and the small cut had sealed. There was no need for a second application. Usually takes me a few days to heal with a regular triple antibiotic cream. I am sold on curoxen. 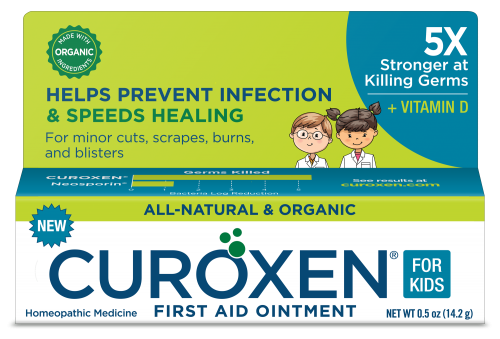 I keep Curoxen on hand mainly for my grand kids, who tend to get scrapes and cuts quite frequently. I used it for myself the other day, on a bite that was itchy and hurting. 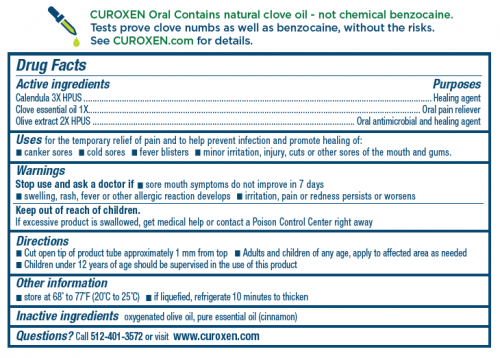 Curoxen soothed it almost immediately, and the next morning the symptoms were totally gone. Very satisfied with both the results and the organic, simple ingredients. 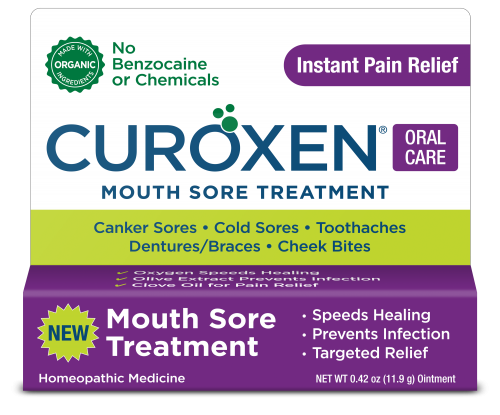 Curoxen worked really well on a bite (not sure what it was) that was itching and burning. It soothed the area almost immediately, and the next morning the irritation was gone. This is also the only product I will use for my grand kids, who are always getting little scrapes and cuts! It’s great to know that I a natural alternative works just as good as top competitive brands. I have a cat with sharp claws and she’s scratched me in the face and gave me a deep cut on my hand. I felt comfortable applying the ointment to the surface cut on my cheek and generously on to my hand. Both have cleared up quite quickly. The ointment has a natural scent and may sting upon contact with the area you’re applying it to, but that was no different than any ointment that I have used. When it’s chilly outside I still like to get outdoors, play with my dogs and go for a hike, but it seems the cold, dry weather makes my skin more susceptible for little knicks and scratches. That’s why I pack Curoxen’s first aid ointment. 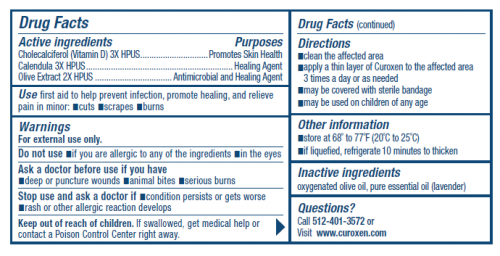 I like Curoxen because it’s made with natural and organic ingredients. 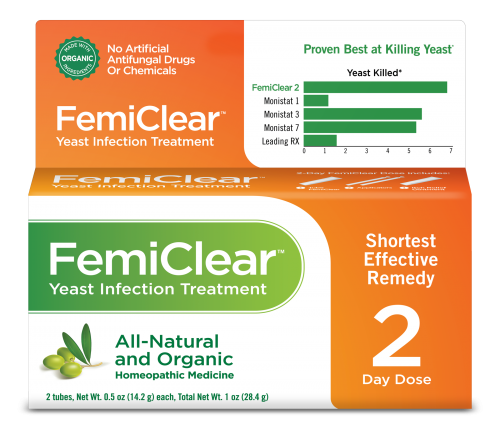 There are no artificial antibiotics or chemicals and it’s travel size.